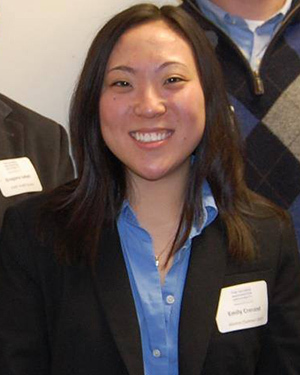 Emily Crerand attended Semester in Washington Politics in the summer of 2007. Five years later, after a stint as the internship coordinator for SIWP, she found herself in North Dakota, working for underdog Senate candidate Heidi Heitkamp. Starting as a call time manager, Emily was promoted several times and ended the cycle as the Deputy Finance Director/Intern Coordinator/Office Manager. “The full senior staff was only thirteen people,” said Emily. “It was one of the smallest campaign staffs in the country. As deputy finance director, I implemented Heidi’s call time program, making sure calls to donors were vetted, researched, and had all the right phone numbers. I planned and executed several “Power of the Purse” events, which were women-focused events across the state. North Dakota had not elected a female representative to the U.S. House or Senate, so this was Heidi’s best shot at achieving that goal. Emily’s hard work paid off, as Heidi Heitkamp ended up narrowly beating Republican Congressman Rick Berg. She then was offered a position in the Senator’s Washington, D.C. office as Assistant to the Chief of Staff. It didn't take Emily long to get back on the campaign trail, this time for another underdog Senate candidate. She was recently brought on as Finance Director for Natalie Tennant’s Senate campaign in West Virginia. We wish Emily the best of luck!